Cadillac Chrome Silver Wheel Center Cap SLS Seville DeVille Genuine OEM 2 3/8"
4PC SET Wheel Center Hub Caps Cadillac ATS CTS DTS SRX STS XLR XTS 2-5/8"
CADILLAC XTS 2013-2015. CADILLAC ATS 2013-2015. CADILLAC SRX 2005-2015. CADILLAC DTS 2006-2011. CADILLAC STS 2005-2012. CADILLAC XLR 2005-2009. CADILLAC CTS 2005-2015. Part #: 23156594. 2015-2019 Cadillac ATS Note: Not compatible with all models. 2015-2019 Cadillac CTS. 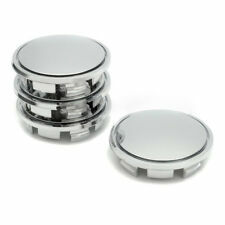 Here is a good condition button center cap for various Cadillac ATS and Cadillac CTS aluminum wheels. This center cap fits in the center opening in between the lug nuts and is 2 5/8" across the front. 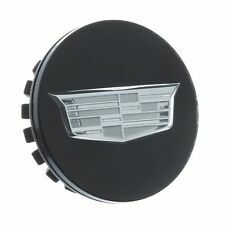 Description This is a single Genuine GM black center cap with silver crest logo for your 2015-2019 Cadillac ATS. Note: Does not fit Cadillac ATS-V models. Application 2015 2016 2017 2018 2019 Cadillac ATS. Trending at $44.12eBay determines this price through a machine learned model of the product's sale prices within the last 90 days. 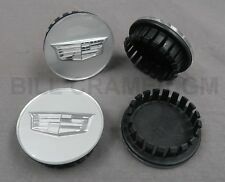 Here is a good condition center cap for various Cadillac ATS / CTS / SRX & STS aluminum wheels. This center cap fits in the center opening in between the lug nuts and is 2 5/8" across the front. This is the version with the colored logo. OEM Cadillac Wheel Center Cap 9597375. Up for sale is one used OEM Cadillac Wheel Center Cap (GM part number 9597375). The cap is in excellent used condition with minor wear. Part No. 19351813 - Center Cap in Sterling Silver with Crest Logo. Features a silver Crest logo for enhanced customization. OEM PART #: 19329847. INDENTS: 9597375. ATS, CTS, CTS-V, DTS, SRX, STS, XTS. CENTER CAP SET. 2013-2016 XTS. 2013-2017 ATS ALL MODELS EXCEPT THE NEW ATS-V. 2005-2013 ALL CTS MODELS. 2014-2017 MOST CTS MODELS EXCEPT NEW STYLE CTS-V. CENTER CAP. Detroit Wheel and Tire. About Detroit Wheel and Tire. 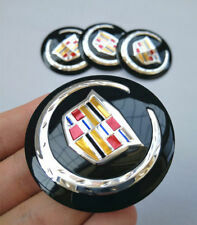 Description This is a set of 4 Genuine GM black center caps with multicolor crest logo for your 2016-2018 Cadillac ATS-V. Application 2016 2017 2018 Cadillac ATS-V.
Our trained staff is here M-F 10am-2pm EST for installation guidance. Get all the parts you need for your GM vehicle at GM Parts House. Your #1 source of Genuine GM Parts online. 12 Month Warranty. 2013-16 CADILLAC ATS 17" GENUINE FACTORY OEM SILVER WHEELS RIMS SET #9598563 OEM. ITEM: ONE SET OF WHEELS RIMS. FOUR WHEELS RIMS. ALWAYS BETTER GENUINE FACTORY OEM. Brand Cadillac Manufacturer Part Number 9595439 9597375 Interchange Part Number 4585, 4586, 4589, 4596, 4597, 4604, 4606, 4607 Placement on Vehicle Rear. PART #19329257. XTS ATS CTS. 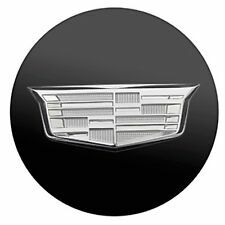 A MUST ON A BLACK CADILLAC. WE ARE C r A z Y FOR CADILLAC. CADILLAC ACCESSORIES ON e b a y. WHEELS 2015 & 2016. 2 5/8" MOST FACTORY. UNION, NJ 07083. 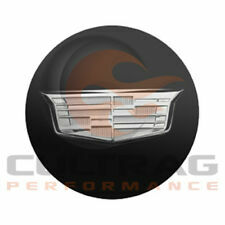 Universal fit for all Cadillac ATS CTS DTS SRX STS model. Material: high quality ABS. Color: Silver Color. Check-Out Now! USA Lower 48 States. 2013-2014 ATS. 2005-2016 SRX. 2006-2011 DTS. Cadillac CTS. 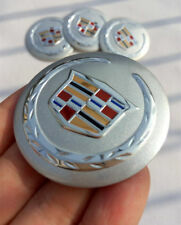 Cadillac Center Cap OEM. 2005-2014 CTS. The compatibility chart is not always correct! Cadillac models. Grand Tex Part Number: 23461848. You get what you see! If you see it, we have it! About the manufacturer. 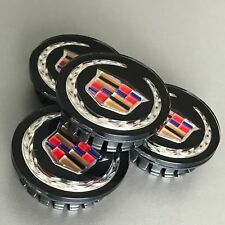 Description This is a set of 4 Genuine GM silver center caps with multicolor crest logo for your 2016-2018 Cadillac ATS-V. 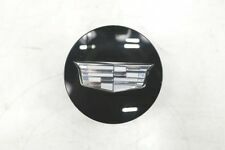 Application 2016 2017 2018 Cadillac ATS-V.
Set of 4 Cadillac Wheel Rim Center Caps ATS CTS SRX STS XLR XTS 2.6" 66mm CHEAP! We are located in beautiful Sandy, OR and have been family owned and operated since 1967. About Trunk Monkey Parts. We cannot take back installed or tried parts. We cannot take back used parts. Part Number : 9595439. Part Number: 9595439. CADILLAC XTS 2013-2015. CADILLAC ATS 2013-2015. CADILLAC SRX 2005-2015. CADILLAC DTS 2006-2011. CADILLAC XLR 2005-2009. CADILLAC CTS 2005-2015. Your Source for Genuine OEM GM Parts & Accessories!!!!! 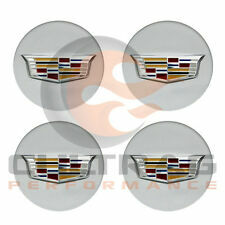 Universal fit for all Cadillac ATS CTS DTS SRX STS model. Color: Silver Color Crest. WE WILL TRY OUR BEST TO RESOLVE ANY ISSUES FOR YOU AS SOON AS POSSIBLE. It will use to verify claims if there is any problem with your order. Cadillac ATS (2015 - 2017). Cadillac CTS (2015 – 2017). Cadillac CT6 (2016 – 2017). This center cap fits Cadillac wheels with Hollander nu mber 4707. This center cap may fit other Cadillac wheels. 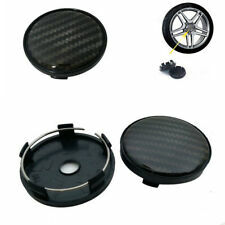 This center cap can f its on the Front and Rear wheels of the vehicle. Indents : 9597375. XTS 2015-2018. Models: ATS 2015-2018. SRX 2014-2016. CTS 2015-2018. The center cap is OEM ORIGINAL FACTORY GENUINE. The center cap is in VERY GOOD Condition. The center cap has slightly scratches. Price is per one (1) center cap unless listed as a "Set of 4". Fits inner wheel bore of 2-1/8". Most will benefit from a more intensive cleaning once installed. 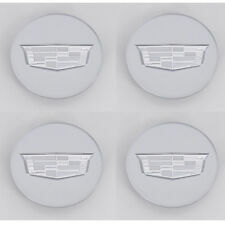 5 out of 5 stars - Genuine Factory OEM Cadillac ATS CTS DTS SRX Wheel Center Hub Cap 9597375 2-5/8"
2 product ratings2 product ratings - Genuine Factory OEM Cadillac ATS CTS DTS SRX Wheel Center Hub Cap 9597375 2-5/8"
Genuine OEM Factory Center Cap! Available for 2013-2015 Cadillac ATS. Available for 2010-2016 Cadillac SRX. Color: Silver Color Crest. Available for 2006-2011 Cadillac DTS. Available for 2005-2011 Cadillac STS. Available for 2008-2014 Cadillac CTS. Part Number: 9595439 - English - Cadillac. Cadillac STS 2005-2012, Cadillac XLR 2005-2009, Cadillac XTS 2013-2014. Rim Center Cap.